being little • bristol uk fashion & lifestyle blog. 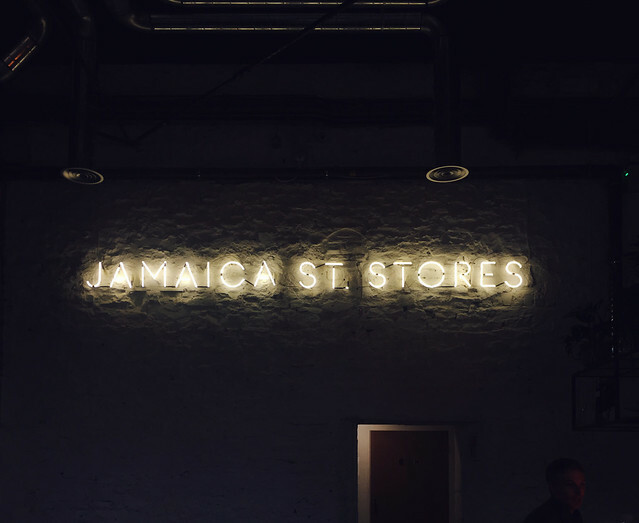 : jamaica street stores, bristol. Firstly - no, it's not Caribbean food. It's just ON Jamaica Street. There seems to have been a bit of confusion about that! The food here is all seasonal, ethically sourced, and local (where possible). They draw their inspiration from all over the world. You notice the industrial interior & high ceilings before you even enter the restaurant - it's hard not to, with windows as big as those! The neon sign on the back wall beckons you in. 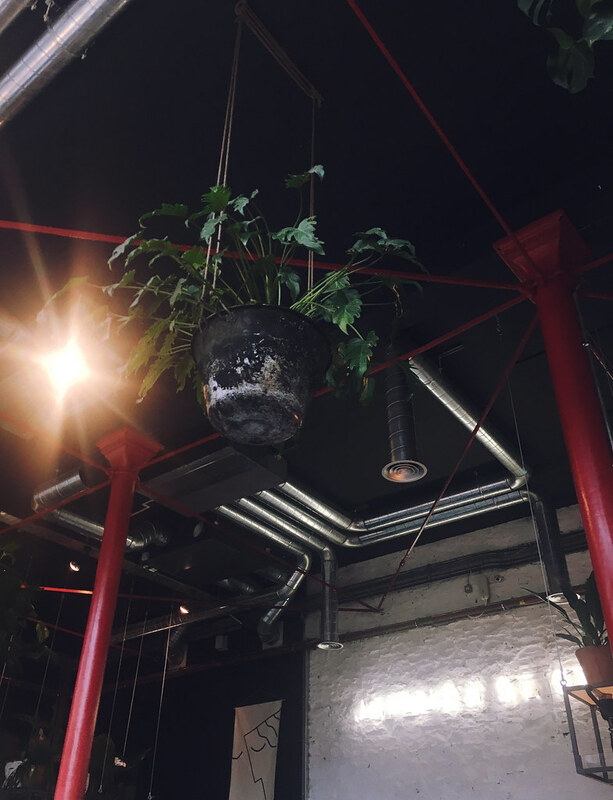 There are huge plants suspended from the ceiling, and a tree that you can sit around. 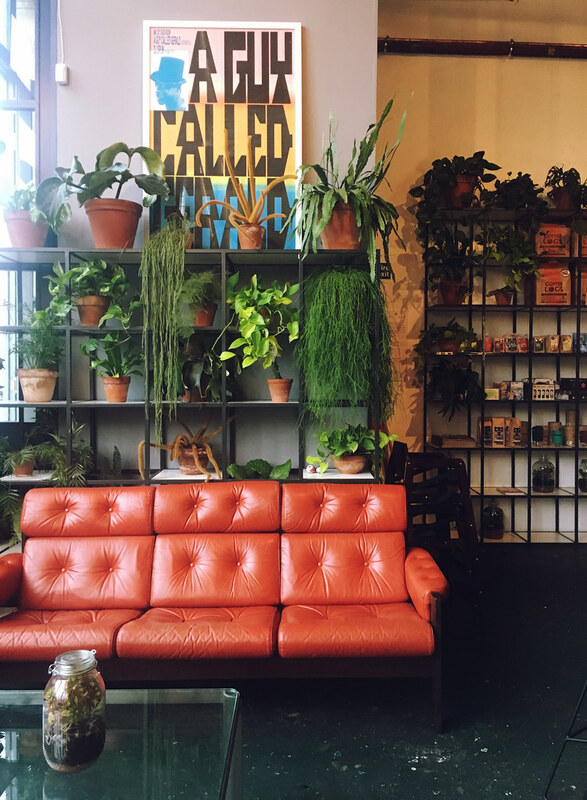 Yet more plants in the lounge area with the (very comfy) tan/orange leather sofas. 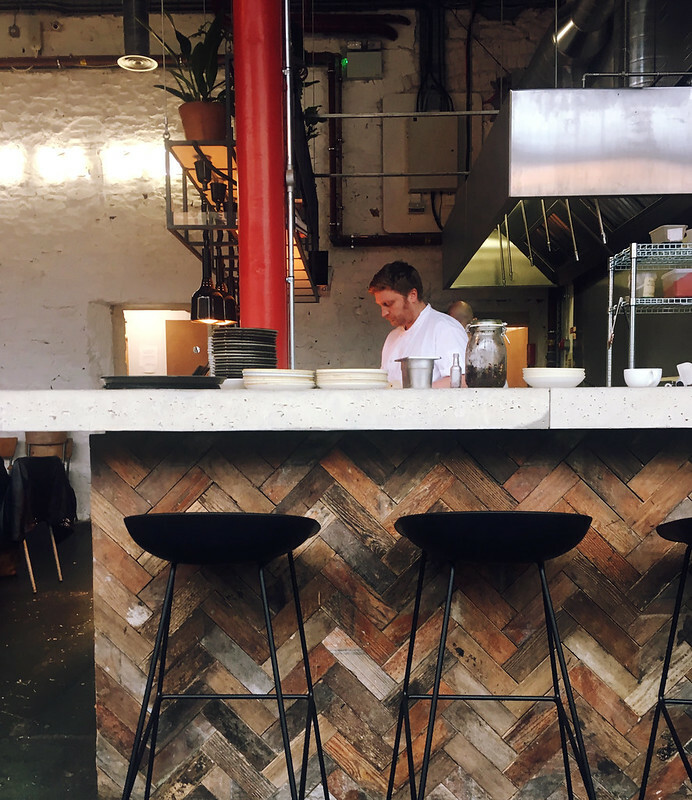 I love the open kitchen, and wooden parquet bar with a thick concrete top. I quite like being able to watch food being made, so I might opt to sit there on one of our future visits. Our first visit was on a weekday lunchtime. Even though it was grey and dull outside, it was warm and welcoming inside. The staff were friendly and informative, explaining the menu and how it works. During the week they do a deal - two small plates and one side for £10 - so we both went for that. The dishes came out at different times, whenever they were ready. I liked this, because you didn't get too overwhelmed. 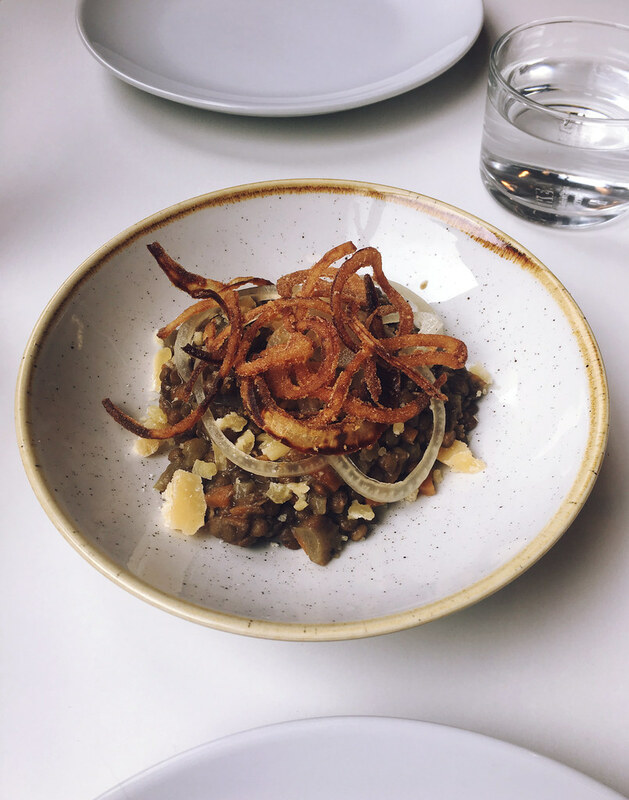 BEER BRAISED LENTILS, MUSTARD, ALIUM, OLD WINCHESTER - tangy & tasty, the crisp and sweet shallot/onion was a lovely touch and an extra texture which is sometimes needed with a soft dish like lentils. 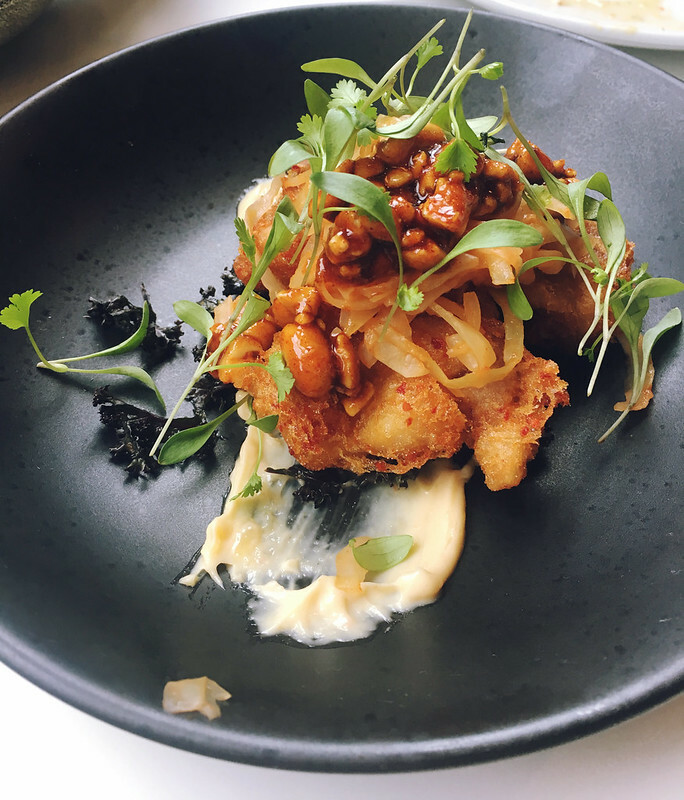 CARAMELISED CAULIFLOWER, BLACK GARLIC, MOJOS, HAZELNUTS - our favourite dish on the menu. 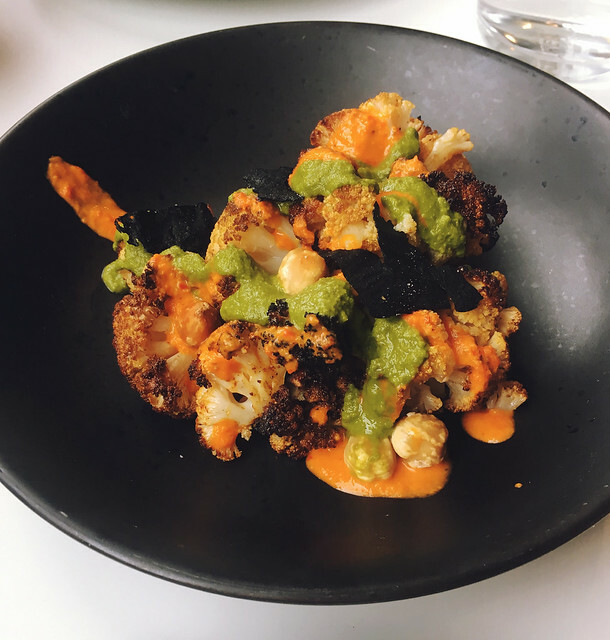 The crispy bits of cauliflower were amazing, the sauce was spicy, the nuts gave a good crunch. 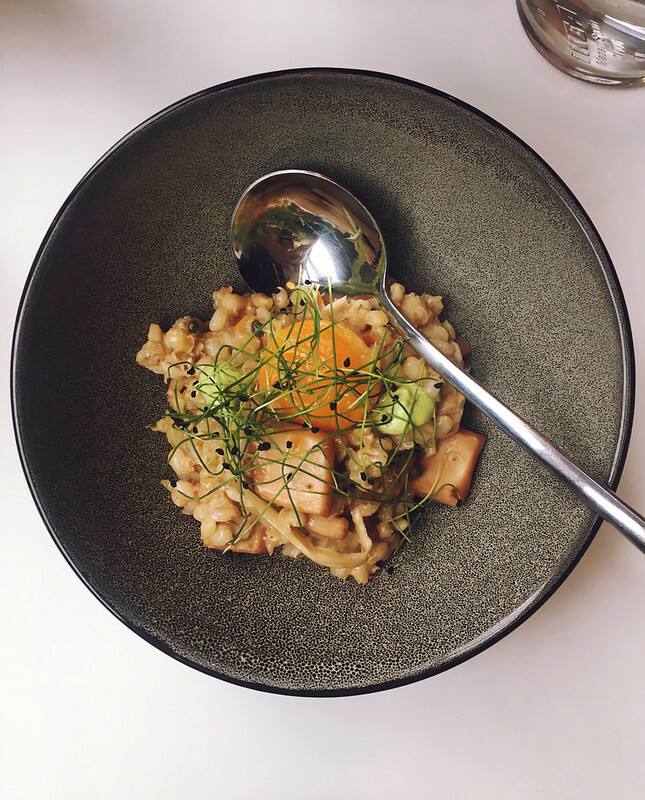 PEARL BARLEY RISOTTO, HAKE, BRAISED CUTTLEFISH, GREEN EMULSION, CONFIT YOLK, CAPERS - full of fishy flavour, smooth and almost creamy due to the yolk. 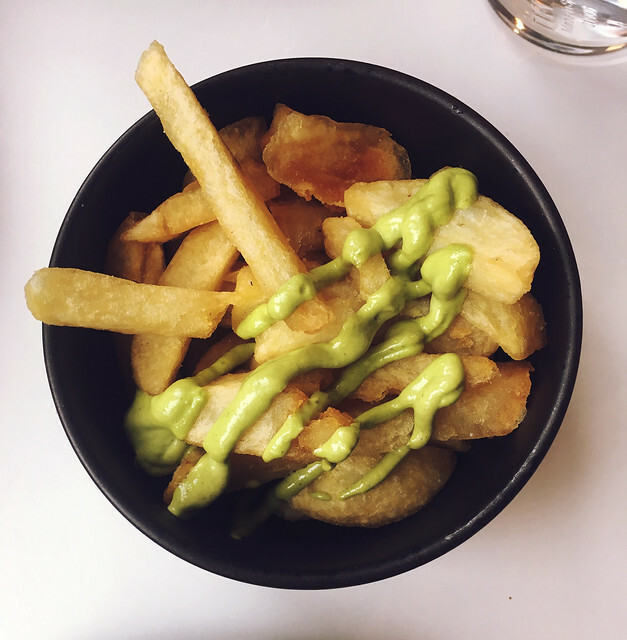 TRIPLE COOKED MARIS PIPER, HERB MAYO - perfectly crisp with fluffy insides! Exactly how a chip should be. Could've done with more of that sauce though! FRIED CHICKEN THIGH, KIMCHI, PEANUT SAMBAL, MACERATED KALE - our second favourite. The chicken was so juicy, the batter was crisp. I loved the mixture of flavours - spicy, sweet, sour. We also had a board of Joe's Bakery sourdough, which was a very generous portion - we couldn't eat it all! Lovely, soft bread. The dishes on the lunchtime deal are slightly smaller than the evening versions, and the menu is more limited too. The evening menu has about 3x the amount of dishes, in larger portions. I went at the weekend and we ordered 6 dishes between 3, and it was more than enough! I can't speak highly enough of the staff either - they really made us feel welcome, and are a big part of the reason I want to go back soon. As Sam said, it's a fine dining experience at a fraction of the cost. Everything is cooked really well, and the portions are plenty. So, when are you going to try it for yourself? This is looking amazing. Thanks for sharing this post.